Sandos Monaco Beach Hotel & Spa is an adults-only hotel, specially designed for couples, honeymooners and solo travellers. The hotel is popular because of its extensive facilities and comfort it offers. With a great array of activities and programs, a lavish spa and wellness centre, and a fantastic All Inclusive package, the hotel is a perfect holiday spot for the ones looking for a luxury break. 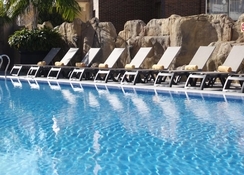 Dive into the massive outdoor swimming pool and relax on the sun loungers sparkled across the pool. What’s most exciting in the hotel is the night entertainment, where you can enjoy live music, watch visual shows and play interactive games. If you do need a change, the fabulous beach of Levante is a short walk away, as well as the hustle and bustle of central Benidorm. 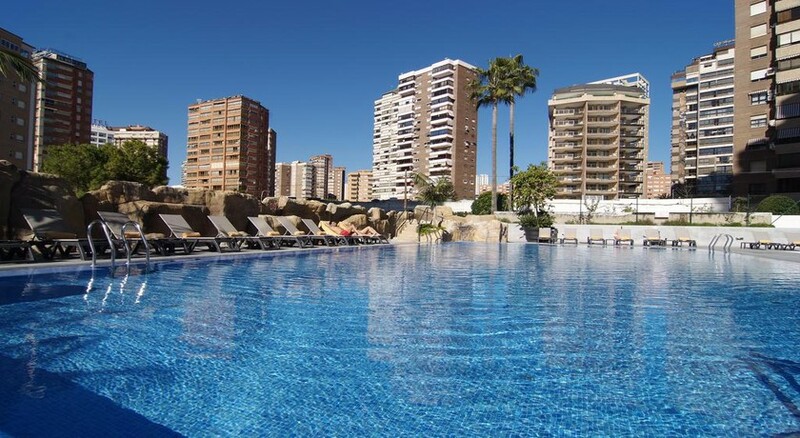 Sandos Monaco Beach Hotel & Spa is located in Benidorm, Spain. Set besides a vast sandy beach, try your hands on some exhilarating watersports including water skiing, scuba diving, windsurfing, sailing and swimming. 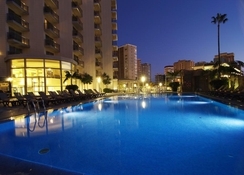 Plus, you will find a lively nightlife and shopping options around the hotel. For something more, visit Terra Mitica and Villaitana Golf—do approach the front desk for golf package information. 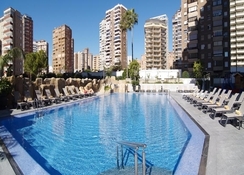 There are various water parks and theme parks around the hotel including Mundomar and Aqualandia waterparks, Terra Mítica and Terra Natura theme parks, Coves del Canelobre – caves, and Benidorm Island. 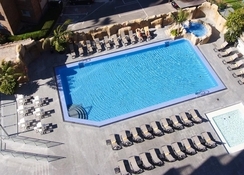 The Alicante Airport is about 58km from the hotel. The guestrooms in the hotel are available in plenty of styles that can accommodate all kinds of travellers. The room types include Deluxe Room, Deluxe Select Room, Wellness Room, Single Room, Romantic and Sandos Suite. Some of the complementary facilities available in the room include air conditioner (summer season), hairdryer and bath amenities, furnished terrace, Wi-Fi, bathroom with shower or tub, flat screen TV with satellite, welcome cava brut, kettle, mini fridge and central heating (winter season). In addition to this, the hotel offers many more facilities at extra charges, which include safe, telephone, iron and ironing board, minibar restock, laundry, late check-out, early check-in and many more. There are a vast array of food and drink options at the onsite restaurants, which are Khas Mahal, Metro Pole Bar, Montecarlo Bar, Snack Bar and Fontvieille. The hotel offers in-room dining service. There are a lot of sporting, gaming and entertainment options in the hotel to keep guests excited and engaged. The wellness centre in the hotel surpasses expectations, as it offers a fantastic array of massages and beauty treatments. Those who want to stay in shape can step into the state of the art fitness centre with expert trainers. Absolutely a 5 ☆ experience. My 1st time in Benidorm, not on my bucket list but decided to try it. What a pleasant surprise. The Hotel a 10 minute walk to the Old Town and the New. 2 minutes to the beach. The Hotel was very clean and the food amazing. I would definitely return to this hotel. Hotel was fantastic from start to finish. The location is perfect for both old and new town and only 5 min walk to the beach. Rooms were modern and very clean and the food was great. A wide selection of food catering for all. Would 100% return to the Sandos monaco. Good sized clean room. Food and staff were excellent. 8 mins from beach and very central, so if you wanted crazy you can or also quiet if you wanted. We are going again.